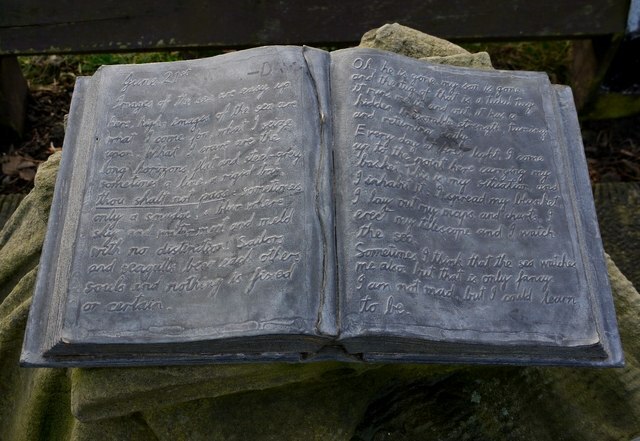 The open book, cast in steel, tells a story though a diary page dated June 21st by Chaz Brenchley about the picnic site as a point to watch and wait for a son returning from the sea. A redevelopment of the old Sunderland Harbour area on the north bank at the mouth of the River Wear. This was once a industrial and shipbuilding area before dereliction and redevelopment. St Andrew's Church (NZ406588) in Roker celebrated its centenary in 2007. Its praise are sung at http://en.wikipedia.org/wiki/St._Andrew%E2%80%99s,_Roker A photo please?